Using this theme, you will discover numerous other amazing features that will save you a lot of time and effort. Additionally, we focused every last details to bring eye pleasant look and extreme browsing experience to your web visitors. With BT Magazine, let's blogging more with less! 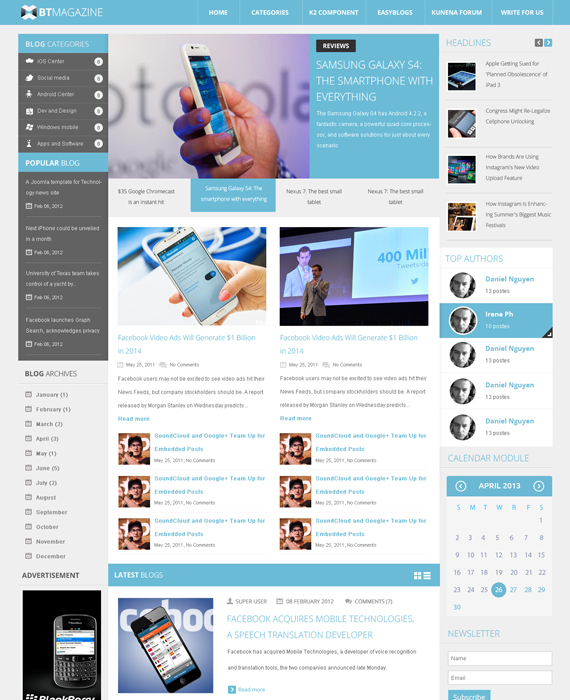 BT Magazine is fully responsive Joomla template and delivers the fascinating design on smartphones, tablets and desktops. The template came with 7 colors including blue (default), dark green, orange, pink, red, olive and grey blue. The template is compatible with blog components such as EasyBlog and K2.